Vitamin B5 is a vitamin often referred to as pantothenic acid. Found naturally in many foods, vitamin B5 is also available in supplement form. 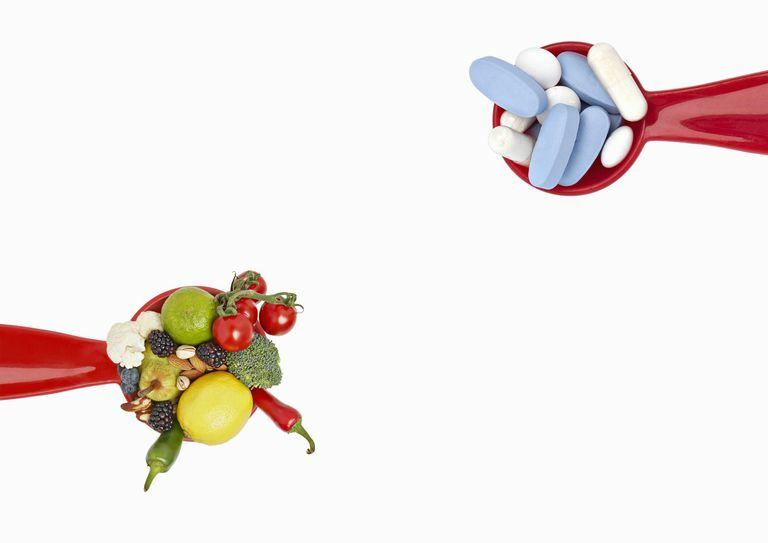 Proponents claim that taking vitamin B5 supplements offers a variety of health benefits. In addition, vitamin B5 is purported to boost the immune system and improve athletic performance. Research on the health benefits of vitamin B5 is fairly limited. For instance, there's currently a lack of scientific evidence to support the claims that vitamin B5 can reverse hair loss, support weight loss, and treat adrenal fatigue. Deficiency in vitamin B5 may lead to the development of acne, according to a 1995 report published in Medical Hypotheses. Although the report states that taking vitamin B5 supplements can cure acne, there is currently a lack of clinical trials testing the effectiveness of pantothenic acid supplementation in the treatment of acne. Taking supplements containing vitamin B5 does not appear to improve athletic performance, according to a small study published in the Journal of Applied Physiology in 2012. For the study, eight healthy male volunteers took either a placebo or a supplement containing 1.5 grams each of vitamin B5 and l-cysteine (an amino acid) every day for a week. Study results showed that the supplements failed to improve athletic performance (as measured by an experiment involving cycling). Using creams containing vitamin B5 may not help treat skin reactions to radiation treatment, suggests a study published in Acta Oncologia in 1996. In tests on 86 patients undergoing radiation, researchers found that a pantothenic acid-based cream wasn't any more effective than not using topical ointment in the treatment of skin reactions triggered by radiation therapy. Vitamin B5 deficiency is very rare. While little is known about the health effects of not getting enough pantothenic acid, deficiency is thought to lead to fatigue, insomnia, numbness and tingling in the hands and feet, and skin irritation. The recommended daily intake of vitamin B5 is 5 mg for people over age 14. The dosage of most dietary supplements containing vitamin B5 is 5 to 10 mg. According to the National Institutes of Health, taking more than 5 mg of vitamin B5 daily may increase the risk of side effects like diarrhea. Due to the limited research, it's too soon to recommend vitamin B5 supplements as a treatment for any condition. It's also important to note that self-treating a chronic condition with and avoiding or delaying standard care may have serious consequences. If you're considering using vitamin B5, make sure to consult your physician first. Leung LH. "Pantothenic Acid Deficiency as the Pathogenesis of Acne Vulgaris.​" Med Hypotheses. 1995 Jun;44(6):490-2. Løkkevik E, Skovlund E, Reitan JB, Hannisdal E, Tanum G. "Skin Treatment With Bepanthen Cream Versus No Cream During Radiotherapy--A Randomized Controlled Trial.​" Acta Oncol. 1996;35(8):1021-6. National Institutes of Health. " Pantothenic Acid (Vitamin B5)." November 11, 2011. Wall BT, Stephens FB, Marimuthu K, Constantin-Teodosiu D, Macdonald IA, Greenhaff PL. "Acute Pantothenic Acid and Cysteine Supplementation Does Not Affect Muscle Coenzyme a Content, Fuel Selection, or Exercise Performance in Healthy Humans.​" J Appl Physiol. 2012 Jan;112(2):272-8.